A 58-year-old woman has been arrested after she was spotted allegedly driving dangerously while under the influence, which resulted in this crash. A 58-year-old Casino woman has been involved in an incident which police said was normally "associated with teenage boys". Senior constable David Henderson from Richmond Local Area Command said police allege that on November 30 a Highway Patrol Officer detected a vehicle travelling "well in excess of the speed limit" on Bentley Road, Bentley. 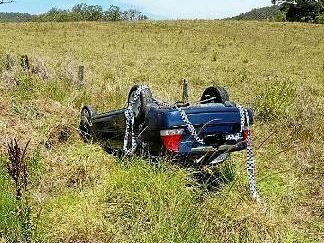 Police turned to follow the vehicle which was found upside down in a paddock a short time later. The 58-year-old woman and her adult daughter were uninjured, however the driver was highly aggressive and abusive to police and drivers who stopped to assist, snr cnst Henderson said. She failed a roadside sobriety test and was placed under arrest. A search of her property revealed an amount of cannabis. The woman was taken to Lismore Base Hospital for a urine sample, where she was highly abusive towards nurses and police. 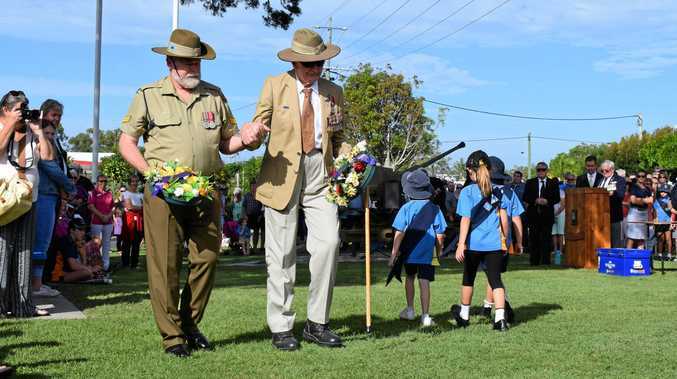 The woman will be charged with possession of a prohibited drug, traffic offences and offences relating to her behaviour at Lismore Base Hospital. A further charge may be laid once the results of her urine analysis is known.